When the time for new gates comes, hire us to install them. Our company has the experience, expertise and capacity to carry out projects of all sizes and degrees of complexity. 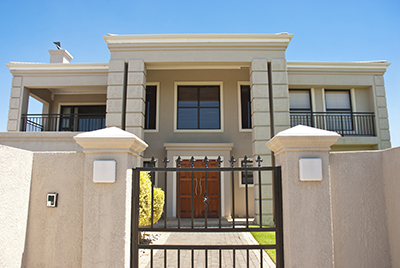 Our residential gate installation service is all-encompassing. It involves not only the setting up of the unit, but also its automation. With us, you can get a brand new system, including an opener and an intercom in very little time. Whenever you have to make a decision, you can rely on our professional advice completely. Let us give you the security, convenience and safety that you require. You can leave all the work to us with confidence that you will get the best end result in the shortest possible time. Full consultation is an integral part of the service. You will receive the answers and guidance that you require for selecting the right gate, electric operator and intercom for you. At "Gate Repair Brea", we ensure that our customers understand fully all technical requirements. The choice between a swinging and sliding unit, for instance, depends on the terrain and the space available as well as on the preferences of the property owner. With us, you will be able to make the best decision without hassle. You will get the strongest new metal parts such as driveway gate track, wheels and rollers, for instance. The entire project will be carefully planned and a strict schedule will be followed. Rest assured that the work will be completed within the set deadline. All components will be delivered promptly and in perfect condition too. The structural components and the hardware will be set into place first. When swing gate hinges are installed, for example, they are attached securely to the post with the most effective technique. They are lubricated as well, since this reduces the rate of wearing and minimizes noise production. All electronic components are set in place with perfect precision and close attention to every detail. The opener is set in place and connected securely to the gate. The gate exit sensor installation process involves the insertion of loops into the driveway and their connection to the devices. Everything necessary is done to make sure that the system will work reliably and safely. Once the opener system is ready, all settings will be accurately adjusted. The remote controls will be programmed so that you can start using them right away. All components of the intercom system are carefully installed and reliably connected. Rely on us to program intercom settings as well. You can periodically use our maintenance service to keep the gate working perfectly in the long term. It includes everything from cleaning and lubrication to preventive gate repair. You can count on us completely.